DEO Hosting Review 2019: Is DEO Hosting a Good Hosting? With over 500 customers worldwide, DEO Hosting is an Indonesian hosting company that leverages ultrafast and modern servers with redundant network. Customer satisfaction and security is paramount to them. 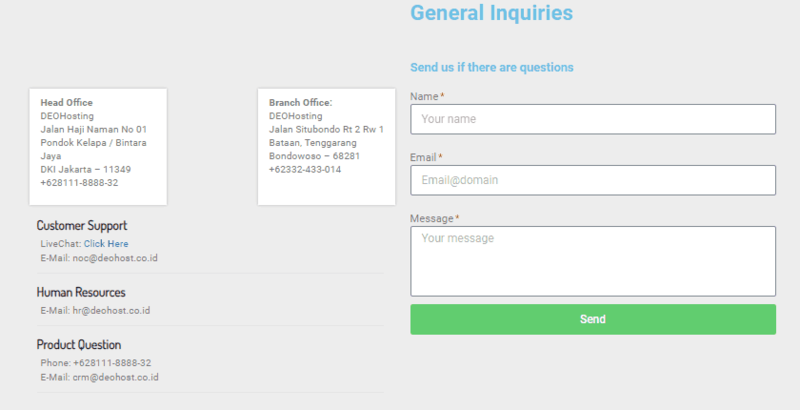 Founded in 2012, DEO Hosting is a privately-owned web hosting company that provides shared web hosting with 99.9% uptime, domain registration, and web design services to individuals and companies in Indonesia and abroad. Their website is in English and Indonesian. Designed for speed and performance, their SSD-powered servers (with 99.9% uptime) can handle all of your personal, small business, and enterprise hosting needs. You have little to worry about when it comes to security. Servers are DDoS-protected and unwanted visitors kept at bay via Firewall rules. Their security professionals also monitor and safeguard servers and data from external threats. In case you sign up with them, don’t forget to password-protect your files, update your apps, and enable Spam protection. As they say, security starts with you. Every shared hosting account comes with the latest version of cPanel, which lets you manage your emails, databases, and website besides carrying out routine tasks. Softaculous app installer with over 50 Open Source scripts is also included in the panel. Within minutes, you can set up a WordPress blog, a phpBB forum, galleries, or a Magento store and secure all of your domains with Free Let’s Encrypt SSL certificate. Don’t worry about backups or restoration. Your Linux hosting account is backed up four times a day in dedicated backup servers with file rollback abilities. 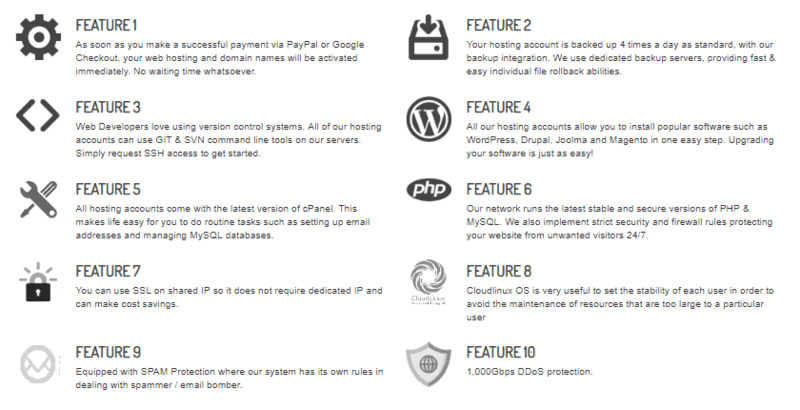 I have no qualms with their hosting prices as they’re fair and well within the reach of users with small budgets. The icing on the cake is that every hosting account comes with a free domain for one year. Your account and domain are provisioned (automatically) as soon as you make a payment via credit card, PayPal, or Google Checkout. Take advantage of their 21-day trial to get a feel for their exciting hosting features. DEO hosting has a highly-trained technical team that provides round-the-clock-support via live chat and online ticketing system. Friendly and helpful, their Indonesia-based support team will assist you with DNS configuration, website transfer, troubleshooting hosting issues, and overall website administration via cPanel. DEO Hosting is a good choice if you’re looking for cheap but secure shared hosting packages in Indonesia with a 99.9% uptime guarantee. Servers only located in the U.K. Wondering how DEO Hosting stacks up against other Web Hosting companies? Enter any other Web Hosting company and we will give you a side-by-side comparison.